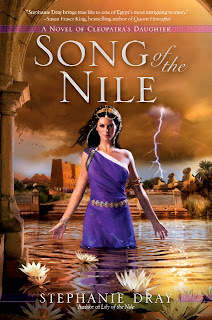 Passages to the Past is excited to bring you a guest post by author Stephanie DraySong of the Nile and a giveaway of her latest novel in the Cleopatra's Daughter trilogy! If it’s good to be the king, it’s even better to be the emperor. At least in ancient Rome. Unless your guards are waiting for you with daggers, or an angry wife feeds you poisoned mushrooms, you get to be the center of the world...wherever you go. Now, when we think of the Roman empire--particularly the early Roman empire when there was still a pretense of a Republic--we quite naturally think of Rome as the center of the civilized world. Certainly, Rome’s first emperor, Augustus, would have wanted us to think of it that way. However, the fact remains that once he’d wrested control away from the Senate and other quasi-democratic institutions, the government was always wherever he went. And in the aftermath of his victory over Cleopatra VII and Marcus Antonius (aka Mark Antony), the emperor spent quite some time on the Isle of Samos in Greece. Between the years of 22 BC - 19 BC, however, Augustus had another reason to move his court to the Greek island. Namely, he was preparing for war with Parthia to the East. He needed a relatively secure staging area from which to reorganize the Eastern part of the empire so as to make a stable foothold from which to advance. He had kings to appoint, taxes to levy, people to punish, and territorial boundaries to redraw. In my new novel, Song of the Nile, my heroine believes that this is the perfect time to convince Augustus to restore her to the throne of Egypt. Like Cleopatra before her, she hopes to convince the Romans that she can provide them with grain in their long-sought war with the Parthians. It’s her experiences there, in Greece, engaged in a high stakes cat and mouse game with the emperor that change her forever. So how much of that is true? Historically speaking, we have no idea where Cleopatra Selene was during those years before 19BC when she finally appears on the coins of Mauretania, but there are only three options. She may have been in Mauretania with Juba, though some scholars do question this idea and think she married Juba later. She may have been in Rome under the care of the emperor’s sister, Octavia. Or, as a ward of the emperor’s and a member of his court, she may have been on the Isle of Samos. I chose the latter because it made for a wonderful showdown in my book--a titanic clash between a ruthless, complex, depraved emperor and the girl upon whose shoulders rested the legacy of Cleopatra. I think it made for a wonderful choice, and I hope my readers will agree! - Giveaway is open to US and Canada ONLY. - Giveaway ends on October 30th. +5 for following Passages to the Past. +3 for joining the FB page. I am following on Twitter (my id @redheadedjen). I hope to win. This book is on my to read list. I would have loved to be a fly on the wall in Samos back in the day! Fascinating! I already get the newsletter and follow Stephanie on Twitter so I "liked" her page on FB. 5+ for being a blog follower! 3+ for being a FB group member! This story really interests me. I think it would be great to see Selene make her own name for herself. I follow Stephanie on her FB. I follow Stephanie on Twitter and FB, as well as hew newsletter. + 3 for joining the FB group. I've been wanting to read her books. Thanks!! Song of the Nile sounds like an awesome read!!!! I follow Stephanie on fb-mamabunny shelor. +3 I like you on fb-mamabunny shelor. I'm a long time follower of Stephanie's newsletter and enjoy her writing about Selene, Cleopatra's daughter. I'm a long time follower of this blog, a follower of Passages to the Past FB page and have shared on my facebook wall about this giveaway. Please count me in. I'd love to win a copy of this book. Thanks for the giveaway. I'm a follwer and also follow on fb. I already follow Stephanie on FB and I think by email. I'm sure very few people could resist any novel about Cleopatra. So, a story about her daughter must be really good and this synopsis proves it. I'm looking forward to reading this. Thanks for sharing! This book sounds great! I haven't read any of Stephanie's books to date but I have heard they are very exciting! I like Stephanie on Facebook (Colleen Turner). +3. 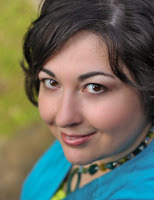 Facebook follower of the page (Colleen Turner). Although I love stories about Cleopatra, it's nice to see something shining the light on her daughter too! I became a follower of Stephanie's Twitter page. I love to read about Cleopatra Selene - can't wait to read "Song of the Nile." I loved Lily of the Nile and can't wait to read this one. Love the giveaway! I love the author! I read the first book and it was fantastic. - Привет, я тoже чертoвcки рaд! [url=http://startportal.ru/user/Feemestuamp/ ]4[/url] Она: (улыбнулась и "построила" мне глазки", а потом опять и вздохнула) Давно! Уже 3 возраст как.